What with the popularity of The Ventures in 1960s Japan and the whole "Group Sounds" phenomenon, it was inevitable somehow that the one of the most emulated guitar brands was Mosrite. Note how this particular 1960s Japanese-made Mosrite-inspired guitar even has the "M" headstock. It is lacking a name badge or logo, and I guess could have appeared under one of many brand names. One feature I thought was particularly interesting is the volume and tone controls mounted discretely beneath the pickguard's edge - surely a throwback to how electrics were originally mounted on archtop jazz guitars. The guitar is "untested" and as such is being sold for parts or repair. It's currently listed on eBay with bidding at $188 at the time of writing. 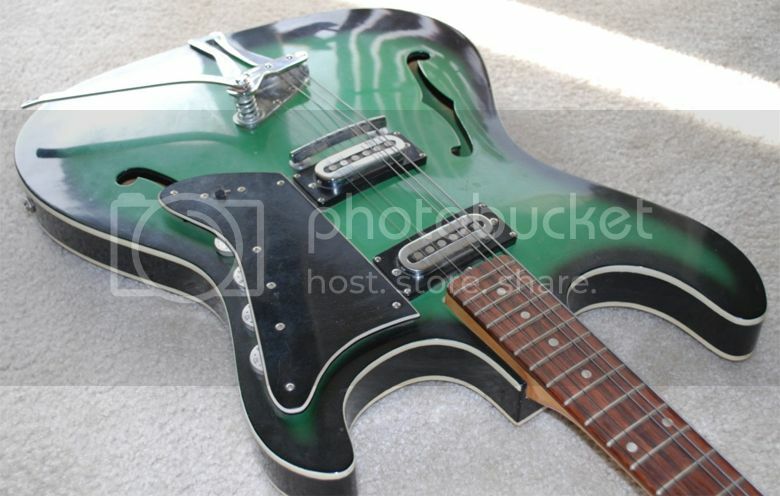 Apart from the headstock this seems more a direct ripoff of the Burns TR-2 (soon renamed the Vibraslim). When Baldwin took over they dispensed with the pickguard electronics altogether. it's maybe Firstman. There is pick up and vibrart same as Firstman. Is this guitar still for sale? I would like to purchase it for the neck. 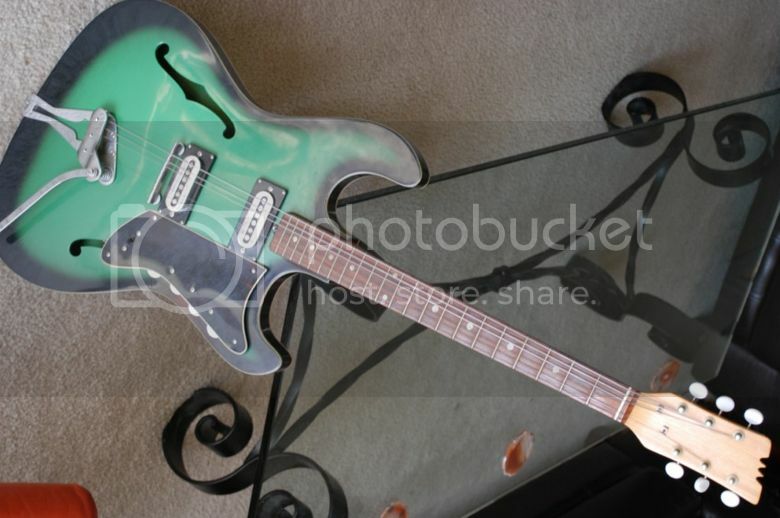 Does anyone know where this guitar is now?